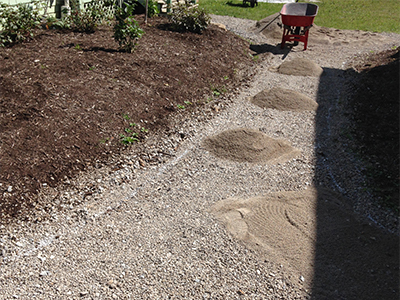 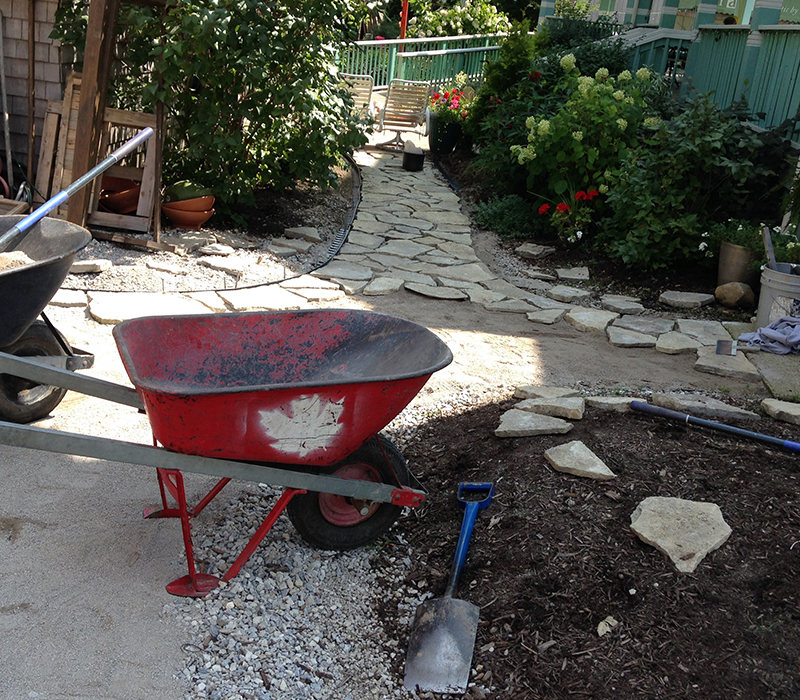 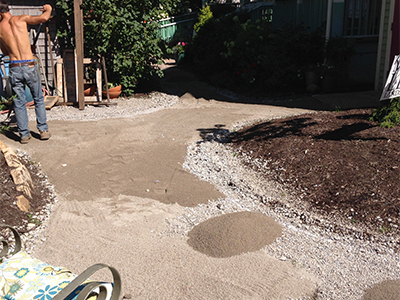 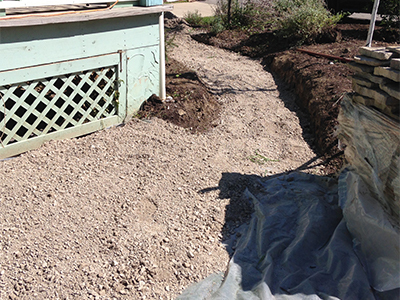 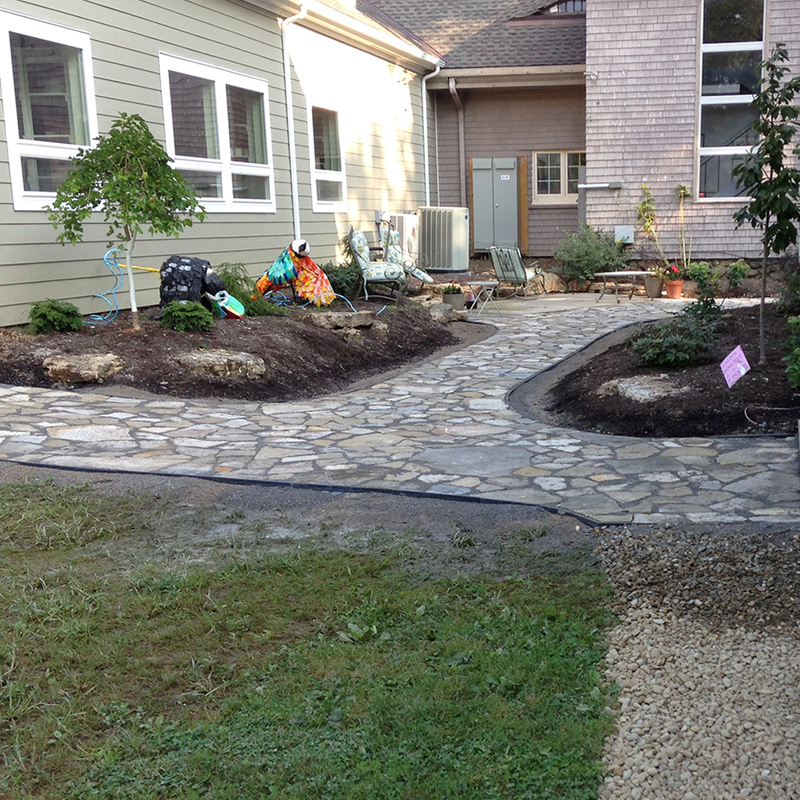 BayArts Pottery Pathway Garden was a blank space after the pottery studio addition was built. 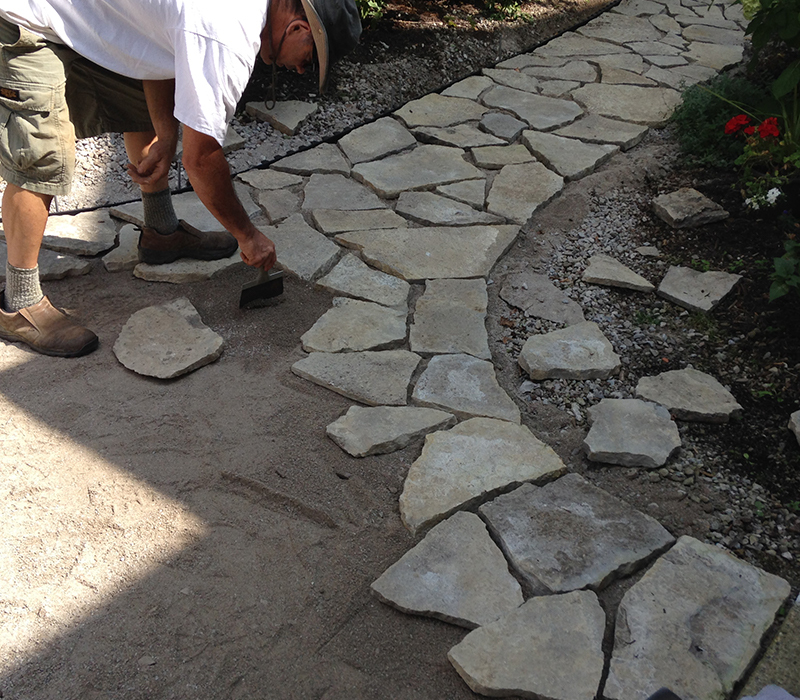 Our goal was to create a walkway connecting several buildings on campus. 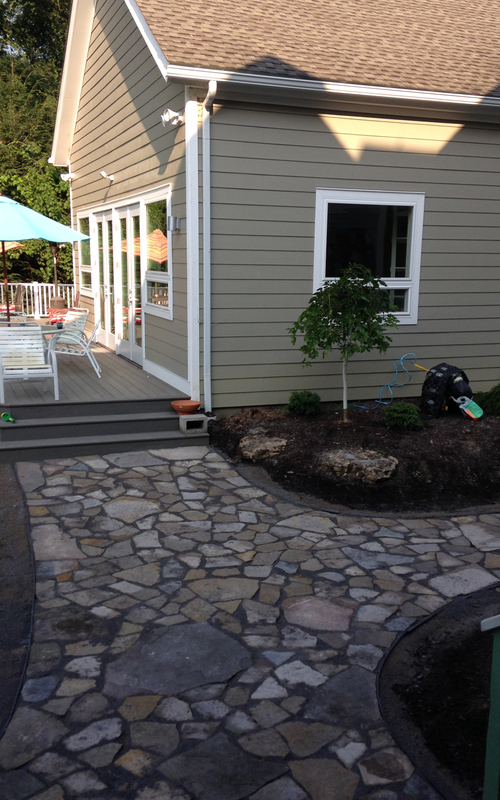 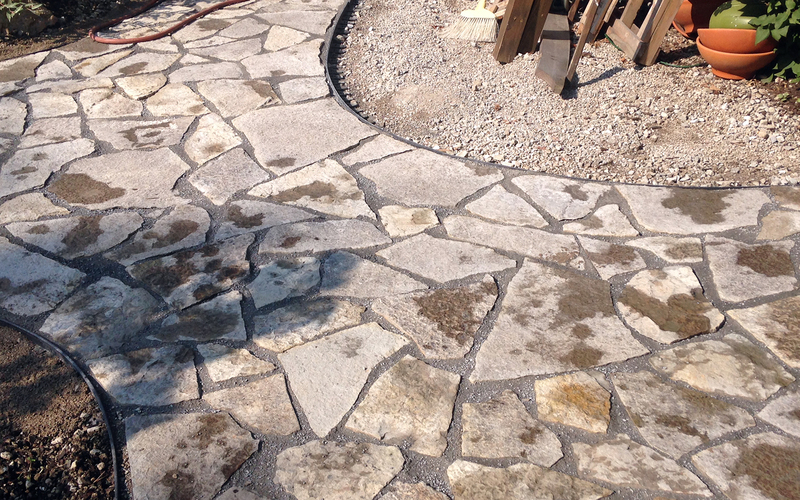 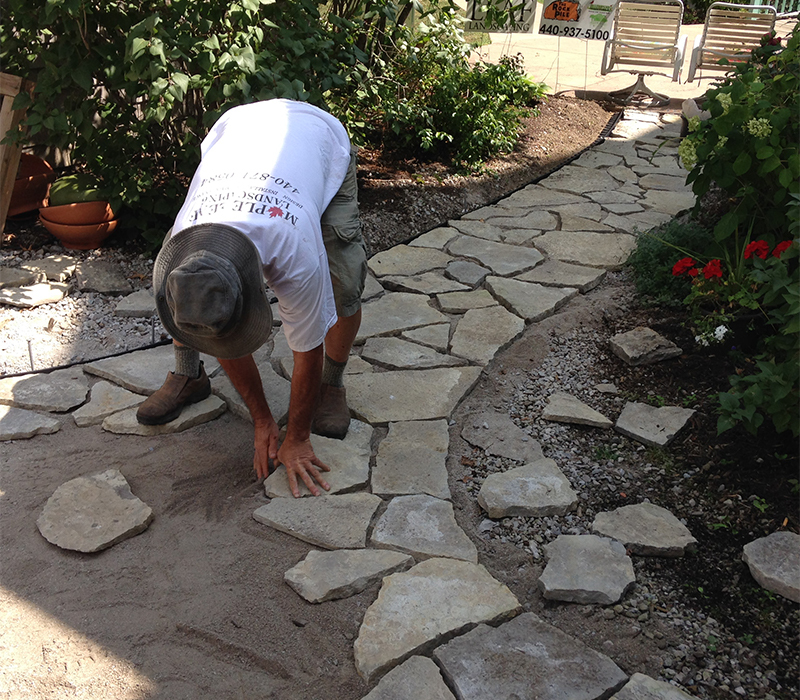 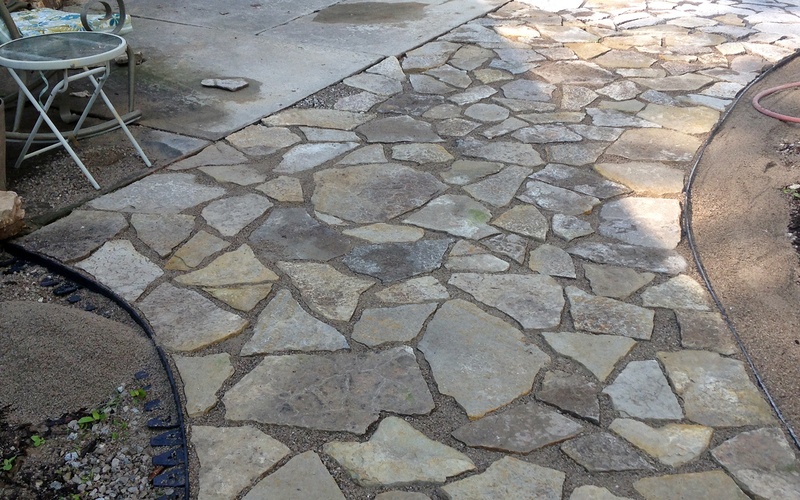 Organic limestone was placed mosaic-style and sealed with a flexible grout. 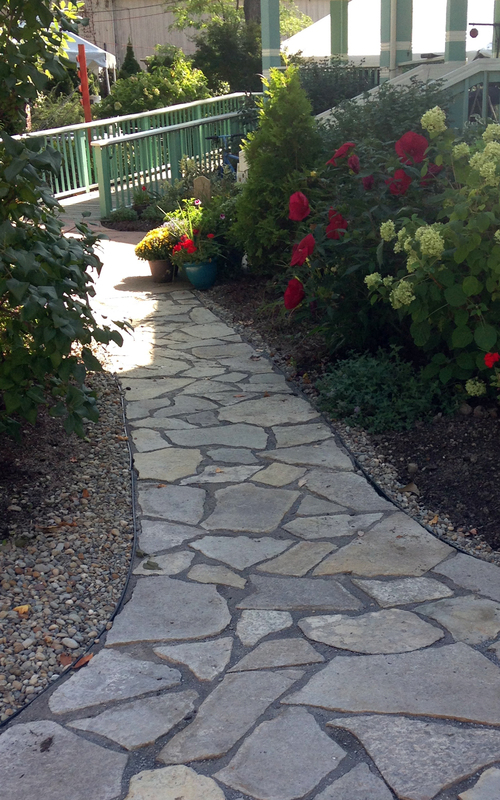 This whimsical path leads each artist and visitor past ornamental trees, shrubs and perennials. 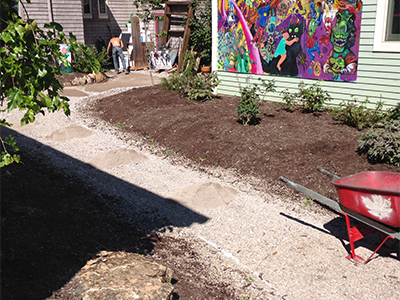 BayArts is a botanical hangout for all!